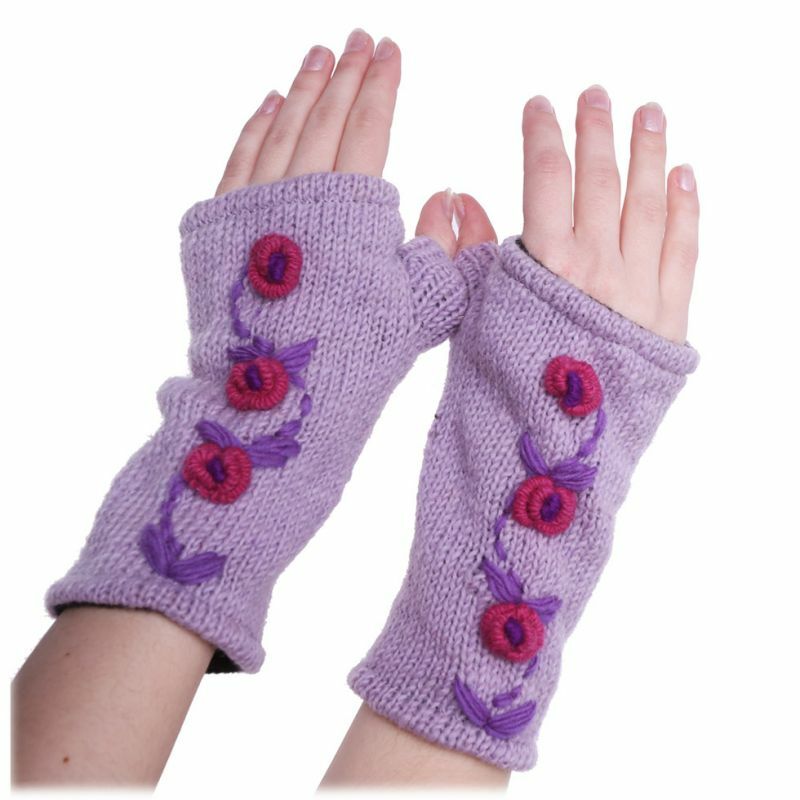 Knitted woolen hand warmers with fleece lining. Origin. Nepal.